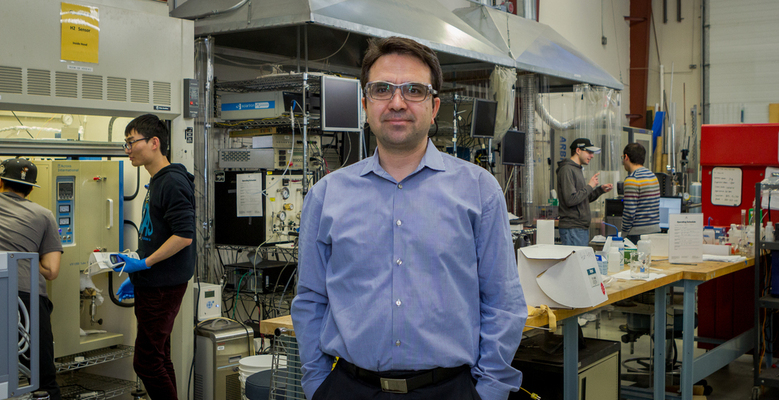 Dr. Ugur Pasaogullari stands in one of the several labs located in the Center for Clean Energy Engineering. 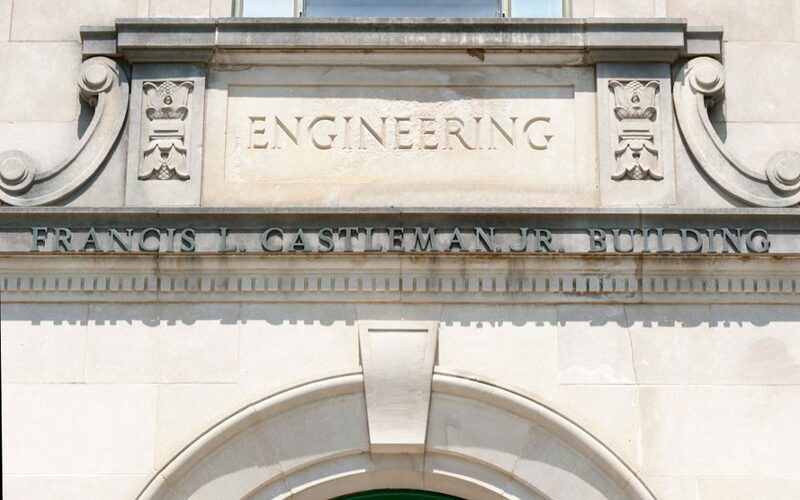 In a nationally-competitive proposal process, UConn School of Engineering was one of only two schools in the country to receive funds to train the next generation of advanced manufacturing leaders. The grant, which came from the federal Department of Energy’s Office of Energy Efficiency and Renewable Energy, awarded $3.75 million combined to UConn and Georgia Tech, with UConn receiving $1.25 million over five years. 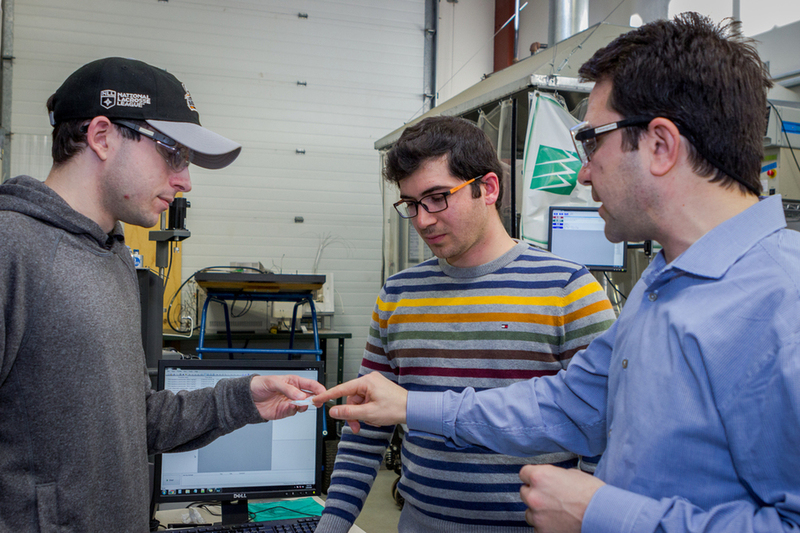 As a result of this funding, the School of Engineering will start a master’s-level Advanced Manufacturing for Energy Systems (AMES) program, with classes commencing in the fall 2018 semester. , and had several Co-PI’s, including: Michael Accorsi, senior associate dean of the School of Engineering; Avinash Dongare, materials science and engineering; Ioulia Valla, chemical and biomolecular engineering; Liang Zheng, electrical and computer engineering; Peter Luh, electrical and computer engineering; Michael T. Pettes, mechanical engineering; and Ali Bazzi, electrical and computer engineering. According to the DOE, the traineeship program will focus on advancing critical science, technology, engineering, and math (STEM) disciplines and competencies specifically relevant to the Advanced Manufacturing Office’s (AMO) mission, where other U.S. government or academic workforce development programs either do not exist or where Department of Energy (DOE)-relevant, early-stage technology areas are not being leveraged to support the DOE mission. In the full proposal, Pasaogullari, along with his co-PI’s, pitched the DOE on a program which would feature a true interdisciplinary learning experience, with four different departments offering teaching and research expertise. Additionally, students would be interacting directly with industry, with Cabot Corporation; Proton On Site; Sustainable Innovations; United Technologies Research Center; Applied Power Systems; AzTrong; Quantum BioPower; Doosan Fuel Cells; Giner, Inc; and CT GreenBank signed on as partners for the proposal, with more companies expected to join as the program develops. Students in the program will have the option of choosing either a traditional M.S. 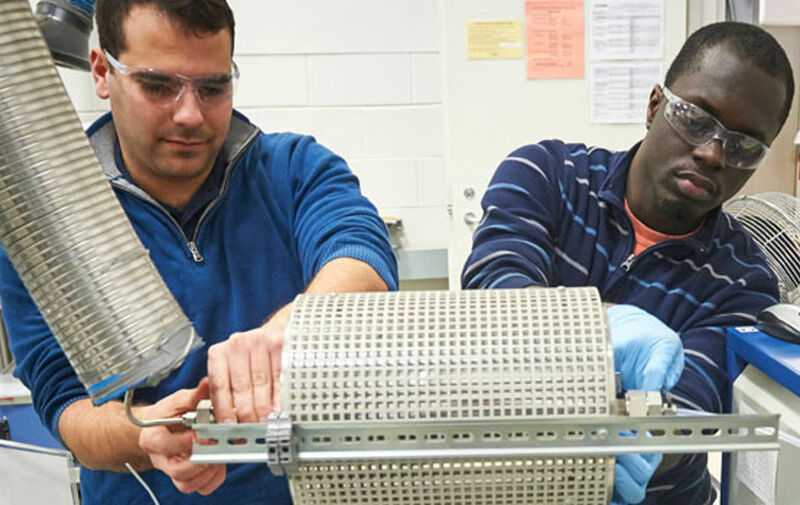 or a Master’s in Engineering (MENG) degree, which is structured towards full-time working professionals, and then they would choose a track in either advanced materials, processing, or sensing and `controls. Near the end of the program, students would tie all their learning together and participate in an internship with one of the industry partners, as well as perform thesis research or complete a capstone project related to a real-world problem, in conjunction with industry. The first cohort of 5-6 students will begin their degree in the fall 2018 semester. With the grant in hand, Pasaogullari and his co-PI’s will get to work recruiting the first cohort of students, who will begin their studies in the fall 2018 semester. The first class of students will total about 5-6, with more added every year. To learn more about the program, or to express interest in the program, please contact Professor Ugur Pasaogullari at ugur.pasaogullari@uconn.edu.